I’m using the title because it follows the pattern of my Heart of Catechesis posts, but to say that the Mass points us to Jesus is grossly inadequate. Jesus is way more than an incidental that happens each Sunday, He’s the source of all grace, the sacrifice that is offered, the One offering the sacrifice, the teacher, the center, the author, the mediator … we could go on and on! 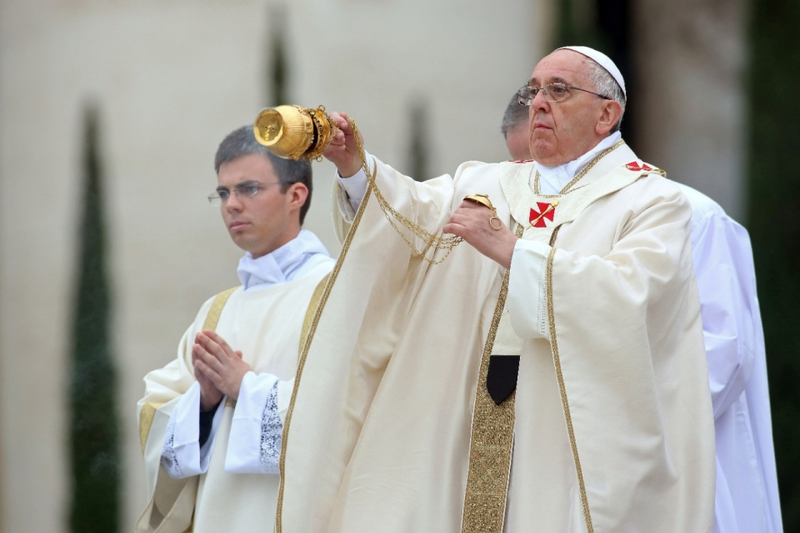 First, and most important, Jesus is “present” in the Eucharist. More precisely, he is the Eucharist; body, blood, soul and divinity. We can’t see it, but with the words of consecration Jesus promises that it happens. He’s also present in the priest. It’s kind of a similar situation where we see one thing, but there’s a greater reality behind it. 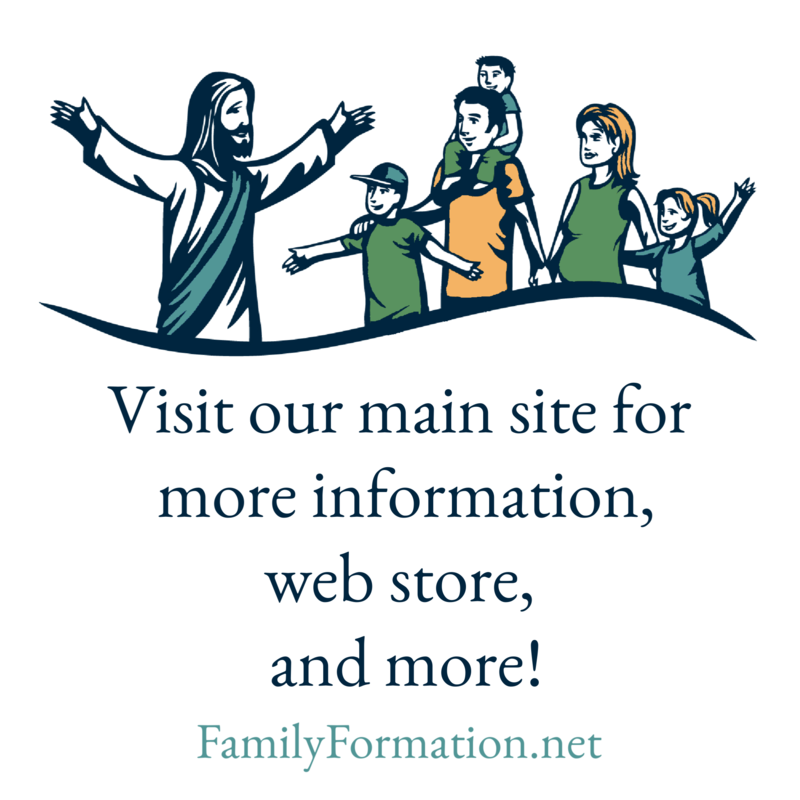 What we see is our familiar priest, but through the Sacrament of Holy Orders, we know that Jesus has given this man the power and authority to act in His name. Jesus is present in the Word that is proclaimed every time scripture is read. Jesus is also present in each and every baptized person. Combine this with the promise that “where two or three are gathered together in my name, there am I in the midst of them,” and there’s double reason to recognize the presence of Jesus in the people who are at Mass. The bread and wine that will soon be Jesus truly present in the Eucharist are incensed. 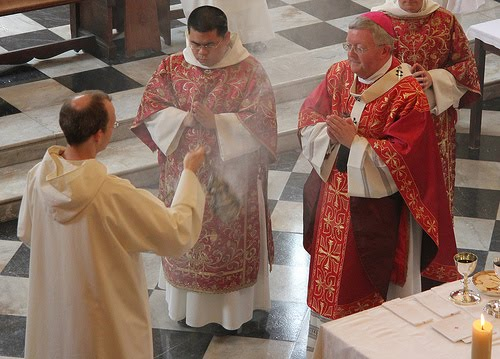 The priest, acting in the person of Christ, is incensed. 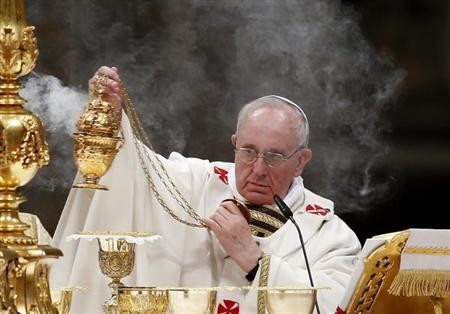 Christ, truly present in Scripture, in honored with incense. 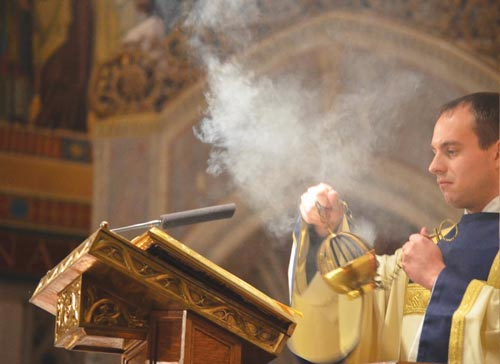 And finally, we all stand as the presence of Jesus within each of us is honored with incense.